Alfa Romeo carmaker has been very successful lately with the newly-introduced Giulia range in Europe, the entire range being numerously tested out in different occasions, released with the most impressive videos and media gallery and displayed at the different charity events and so forth. The Australians will also be able to enjoy the long-expected model, the entire range being recently announced on the local market with full prices and specifications. The Alfa Romeo Giulia lineup comprises five trim levels, each one coming with styling elements and impressive powertrains under the hood. Aussie Performance Drive auto magazine has released the price tags for all five trims. Alfa Romeo Giulia Quadrifoglio – $143,900. From a visual standpoint, all versions share the same styling cues, except for the top of the line QV, which for extra money, can be had with new bi-xenon headlights, alloy wheels and some slight changes at the front and rear bumpers. Inside, the cabin of the entire range tweaks the company`s newest 8.8-inch touchscreen interface with 3D satellite navigation, digital radio, keyless entry start, rearview camera, cruise control, adding as well a wide range of safety features. What separates them from one another is the engines under the hood. The first two trims come with a 2.0-liter turbo-petrol burner with 147 kW and 330 Nm of torque, being sent to the wheels via an eight-speed automatic transmission. As for the sprint from 0 to 100 km/h, this is done in 6.6 seconds and 6.1 seconds, respectively. 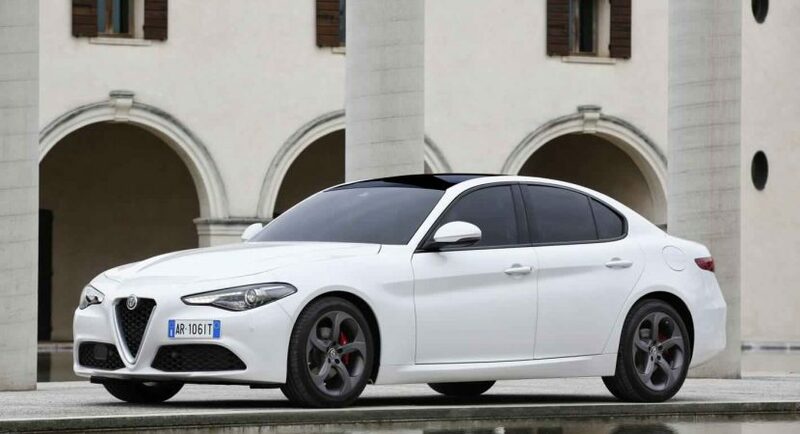 The Alfa Romeo Giulia Super adds a 2.2-liter turbo diesel flat-four with 132 kW and 450 Nm of torque, with the 100 km/h sprint being done in 7.1 seconds. On the other hand, the Veloce trim, which was recently commissioned by the Romanian Police Force, packs a 2.0-liter turbo with 206 kW and 400 Nm of torque. The same sprint is made in 5.7 seconds. The top of the line Giulia QV, the main competitor of the BMW M3, which has already proven its sheer and brute force, features a 2.9-liter twin-turbo V6 mill with whopping 375 kW and 600 Nm of torque, allowing jsut 3.9 seconds.